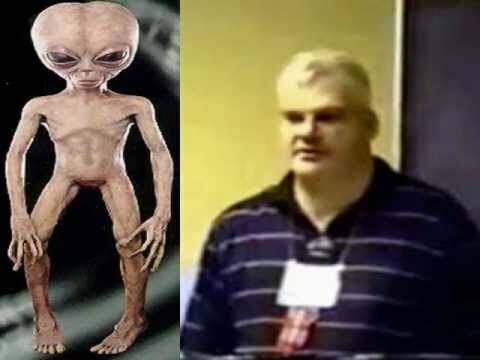 Jason Bishop III (a.k.a., Tal Levesque, a.k.a., TAL), has been one of the original promoters of the “Dulce Base” rumors. This photo of him was taken in 1990 in Los Angeles when he was filmed by Nippon Television program dealing with Area 51 in Nevada and Dulce, New Mexico. The interview took place at my residence in Gardena, California (where I was living at that time). The two-hour program was shown only in Japan on March 24, 1990. He requested that his face be blacked out for the program. In the early 1990s, Jason Bishop III visited with me many times at my residence, even after I moved to Torrance, California. Apparently, at that time, he was living in Redondo Beach, California. It is not an exaggeration to say that more than 90% of the original information that one reads on Dulce originated from Jason Bishop III. 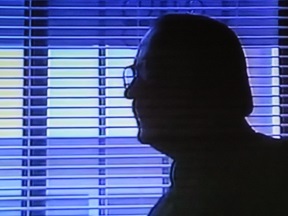 Jason Bishop III claimed he worked with a Thomas E. Castello when he was living in Santa Fe, New Mexico (1978, 1979) working in security for a private company. It was there that Bishop claimed to have befriended the alleged Castello. Jason Bishop III reportedly gave the impression that he was present at the 1988 Mount Archuleta expedition (alongside Gabe Valdez, Edmund Gomez, Jeff and Greg Valdez, French physicist Dr. John Gille, Manuel Gomez, Jr., and Elaine A. (according to his report to Alan B. de Walton (a.k.a., BRANTON, author of the DULCE BOOK and the DULCE WARS, freely available for reading on the Internet). Dr. John Gille refuted that Jason Bishop III was even present at that expedition. (I had the honor of getting together with Dr. Gille in France in the spring of 2016). http://www.bibliotecapleyades.net/vida_alien/blueplanetproject/blueplanetproject.htm, a book heavily promoted by a TV program entitled: “UNSEALED ALIEN AND CONSPIRACY FILES”. 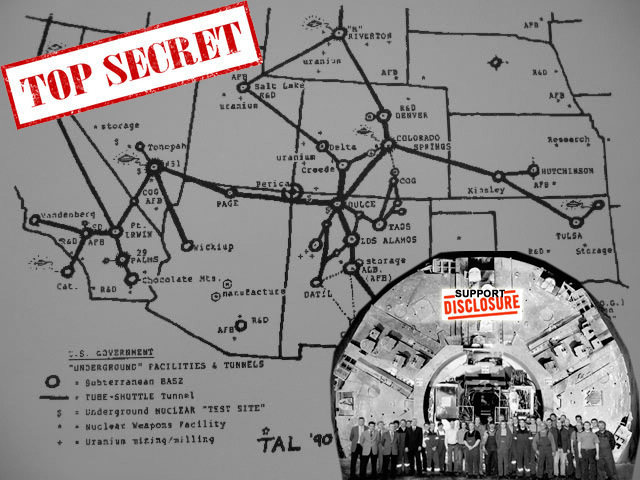 In January of 2009, Jason Bishop III became quite infuriated when I told him that I was organizing the first-time ever “underground base” conference in Dulce, New Mexico. He warned me not to have such a conference in Dulce. Nevertheless, I went forth with the conference, which was held on March 29, 2009 in Dulce. The conference, open to the public, was entitled: “THE DULCE BASE: FACT? OR, FICTION?“. It was a historic and successful conference in many sense of the word (even though nothing conclusive had come out of it) and was attended by more than 140 persons from all over, including many local residents. Just prior to the conference date, Jason Bishop III became quite upset with me because I had not invited a John Rhodes, his protege, to speak at the conference. John Rhodes claimed that he was an expert on “reptilians”. Jason Bishop III was one of the many avid readers of the original SHAVER MYSTERY in the early 1950s. He was deeply influenced by the SHAVER MYSTERY. According to Wikipedia: “Richard Sharpe Shaver (1907 – 1975) was an American writer and artist. 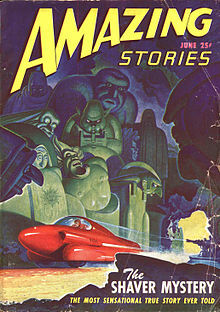 He achieved notoriety in the years following World War II as the author of controversial stories which were printed in science fiction magazines (primarily AMAZING STORIES), in which he claimed that he had had personal experience of a sinister, ancient civilization that harbored fantastic technology in caverns under the earth. 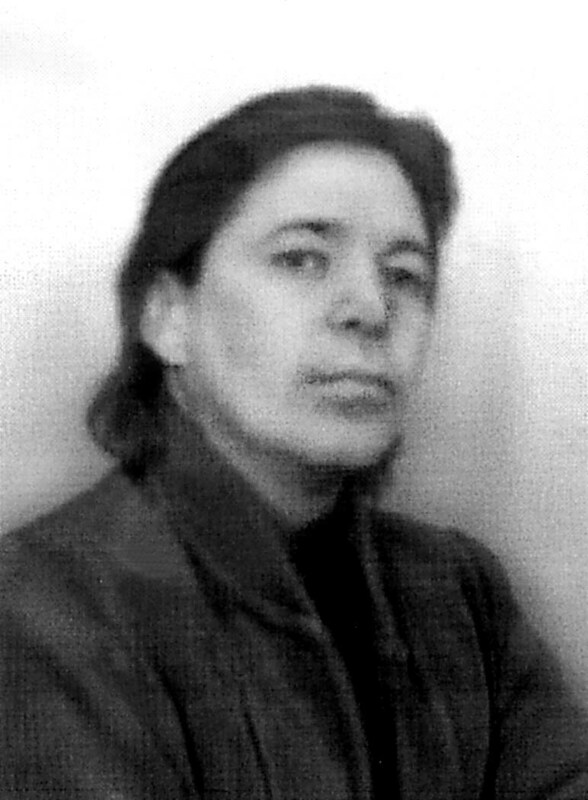 The controversy stemmed from the claim by Shaver, and his editor and publisher Ray Palmer, that Shaver’s writings, while presented in the guise of fiction, were fundamentally true. Like I said, Jason Bishop III was an avid reader of the SHAVER MYSTERIES in the early 1950’s. A couple of years ago, I received a letter from Jason Bishop III‘s sister, confirming to me about his long-term “condition”, i.e., some form of mental, “delusive” illness. Also a few years ago, a friend of mine, C. Gilbert Wright, told me that coincidentally he had corresponded with the brother of Phil Schneider who told him that Phil was also suffering from a certain long-term “condition”, i.e., some form of mental, “delusive” illness. By the way, Jason Bishop III purportedly lives now in Mariposa, California.